Windows Explorer is useful, but many will agree that it has limitations. 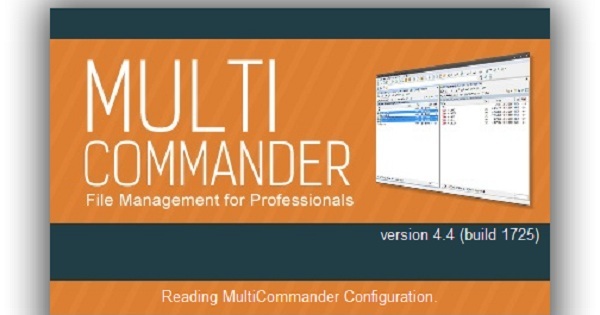 If you need a more robust file management utility, take a look at Multi Commander, a file manager with multi tab support as well as support for FTP, file archiving, changing attributes and it also works as a registry browser, but there is more. Multi Commander is an advanced file manager and it is evident from the numerous options. During installation you can opt to install just the core files or go with everything including FTP uploads, RAR and 7-Zip archives, launchers, editors, file viewers and other components. When you first start the application you can go with the Commander theme or one that looks like Windows Explorer. Aside from the numerous options, one of the first things you will notice are the two panes that let you manage different folders and files at the same time. In addition, you can open several tabs and perform the usual file management tasks like cut, copy, paste, delete and so on. You can filter files by format or name, and you can drag the tabs to move them. If you look at the bottom of the application you will see a button bar where commonly used commands and buttons are available for making new folders, going to registry paths, check network drives and so on. At the top of the application is a command line bar where you can type a folder path and go to it. You can also view images in Multi Commander, and its search function lets you use wildcards and filters. A lot of these are advanced features you may not use regularly, but it’s good to know they’re there.